Welcome to The Ice Cream Shoppe at Emma Lea Farms! 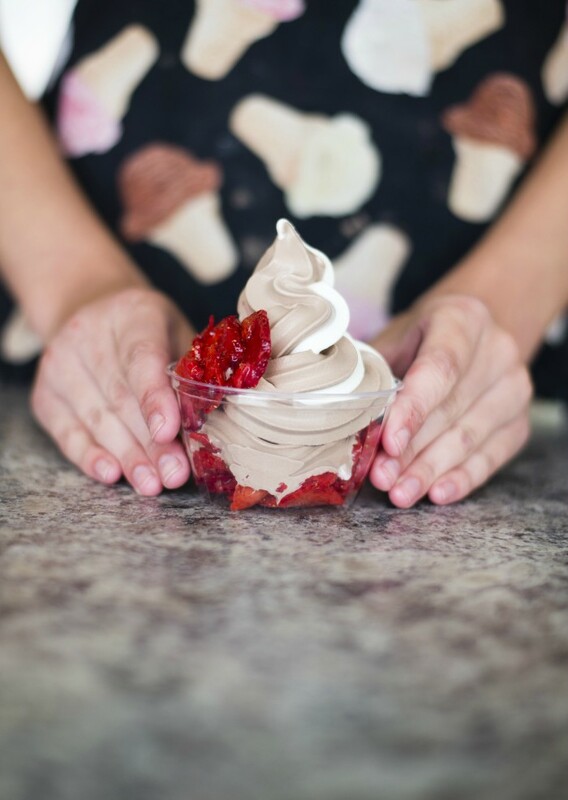 We use the finest, local Ice Cream and add the best and freshest berries Emma Lea Farms can grow. We offer soft serve and traditional ice cream cones, milkshakes, sundaes, smoothies and parfaits… all made with your choice of berries. Vegan options available! We also home make a variety of baked goods daily and serve tea, coffee, hot chocolate and apple cider! Enjoy all these treats in our picnic area or feel free to bring along your own picnic to enjoy here! Every year we host numerous fundraisers on weekends throughout the summer supporting various local charities. Please check out our Facebook page or call us at (604) 946-8216 for more information on upcoming events.